Come talk with us about how your 3 or 4 year old can thrive at Veritas Preschool! When you're ready to entrust your little ones to another teacher, you want to know that they are nurtured, loved, and receiving the opportunities they need to be ready for their next adventures. Veritas Preschool is here for your family to support you in discipling your children as they grow! The best way to know if a school is right for your child and family is by coming into the classrooms, meeting the teachers, and seeing it first hand. We have three evening Open House events scheduled to allow you to do just that. You're also welcome to schedule a time to come visit us during the school day! During your visit, you'll learn how loving teachers, a Bible-based curriculum and a dynamic environment can academically prepare your child for kindergarten and teach them to live as an image bearer of God. Children are welcome to attend with their parents! Our on-site classrooms and on-site playground are a fun place for little ones to make new friends! 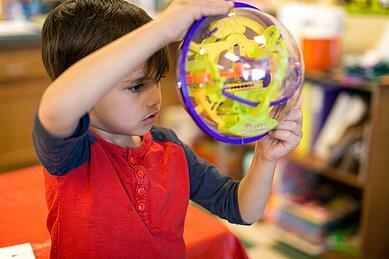 Find out more about our preschool here! Please take a moment to let us know that you will be attending by completing the form. Complete the form to RSVP.